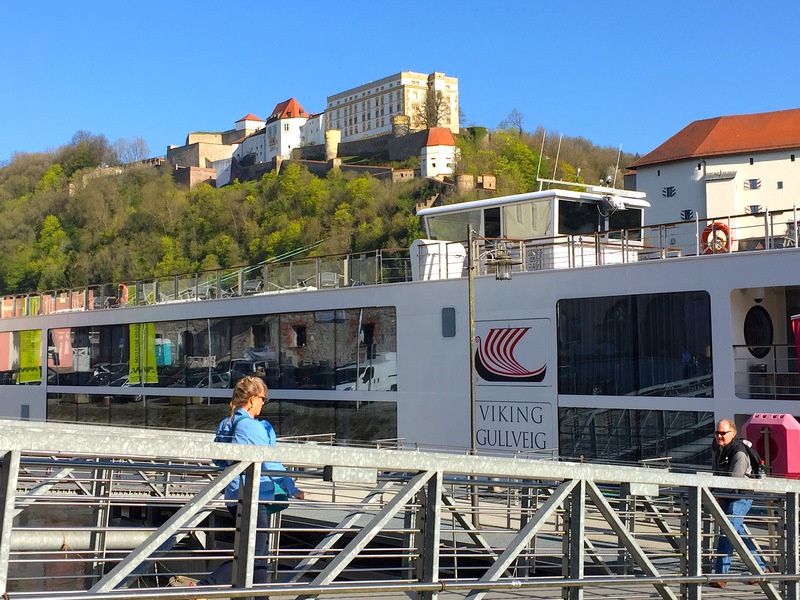 The journey my best friend Joan and I took was the Danube Waltz, a seven-night cruise on the new Viking Gullveig from Budapest, Hungary to Passau, Germany, with four additional stops in Austria and one in Bratislava, Slovakia. The ship sails mainly at night so you’re able to spend all day, and often a full evening in port, offering ample time to see the sights. So my bad! If someone had only told me beforehand how much fun this captivating Hungarian capital is (light years removed from the cold war Communist city it once was) I would have definitely signed up for the two-night, Viking pre-tour package here. Clean, safe, hip, easy, breathtakingly beautiful, this breakout city has done an admirable “spring-cleaning “ job by meshing all the good stuff from yesteryear with some exciting revitalizations. 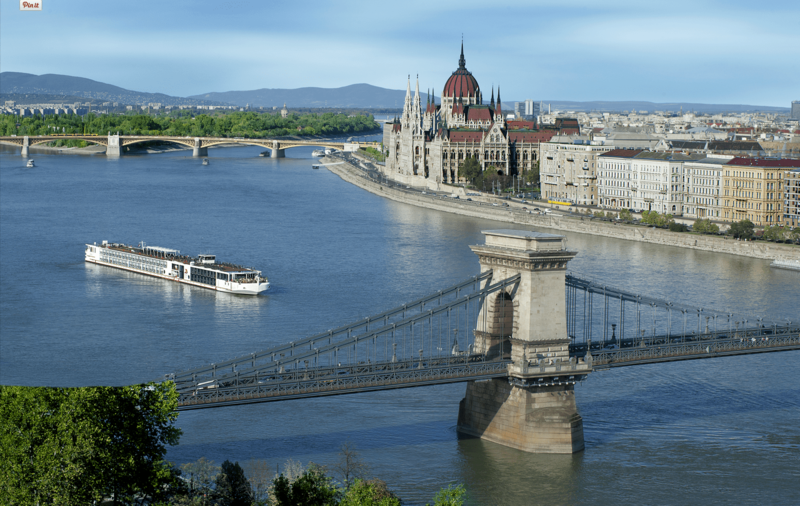 Viking’s informative city tour covered all the major highlights of both the Buda and Pest sides, so you’ll have a better understanding of the unique layout of the city before striking out on your own. It’s quite easy once you realize that the “main drag” here, the River Danube, flows north to south, with Buda on the west bank and Pest on the hilly east bank. While strolling through Pest’s unique neighborhoods, you’ll find palatial Ottoman-era hotels, Neo-Baroque palaces and historical beauties such as the Szechenyi Spa, (this popular thermal bath recently celebrated its 100th birthday) and an abundance of elegant historical coffee houses rubbing elbows with “ruin ” bars. You can easily spend an afternoon at the historic Central Market, built in 1897 and still one of the grandest European food halls, watching housewives haggle over prices as they sniff the piles of paprika, sample a smoky sausage or stock up at the strudel stand on poppy-seed and cabbage strudels. Head down to the basement level to find an amazing pickle parlor, AKA the Smily shop. End the day with a tasty break at one of the many famous coffee houses, such as Auguszt cukrászda (opened in 1870) for a slice of their famed Dobos — a seven-layer Hungarian sponge cake layered with chocolate butter-cream and topped with caramel. The second night, after a wonderful, traditional Hungarian dinner on board, there was an announcement inviting all guests to the top deck as the ship left port. We quickly discovered why Budapest has earned the nickname as “Paris of the East” as we gazed, awestruck, at the beautiful evening lights, which magically illuminated the stunning Art Nouveau buildings overlooking the Danube River. With typical Viking generosity, flutes of champagne were passed which added to our viewing pleasure. There are two appealing optional excursions offered at the same time, so you’ll have to choose between a rejuvenating Budapest Spa experience or a fascinating walking tour of the old Jewish Quarter, which includes a visit to the Dohany Street Synagogue, arguably the largest synagogue in the world. If you are feeling jet-lagged from the flight, I’d suggest doing the spa so that you’re refreshed for the active week ahead. We had zero expectations about Bratislava since about the only thing we kept hearing about it was: “Bratislava is the only national capital that borders two other countries, Austria and Hungary” — to which I thought, “Big whoop!” Surprise! We adored this appealing town, with its medieval Town Hall, picturesque Gothic cathedrals and towers and lovingly restored baroque city palaces. The Old Town main street, Michalska Ulica, was bustling with both tourists and locals taking advantage of the many art galleries, antique stores and eateries. After taking us to the major sites, our guide led us to an intersection to point out his favorite bit of local color, Rubberneck, a bronze statue sticking out of a manhole! Rubberneck has already lost his head twice due to careless drivers, so city officials decided to help him by putting up a warning sign. We jumped ship for an enlightening wine tasting at the Grand Cru Wine Gallery. If you’re like us and know next to nothing about Slovakian wines, let Martin Pagac, the knowledgeable young owner, assist you. He poured us one amazing wine after another, many sourced from local wineries that sell only to him. As we wove our way back to the ship, we passed a lively looking restaurant and decided to pop in to try their national dish, bryndzové halušky, airy potato gnocchi topped with sheep cheese and bacon, that puts our mac and cheese to shame. Vienna, once the centre of the powerful Habsburg monarchy, still exudes imperial glamour. 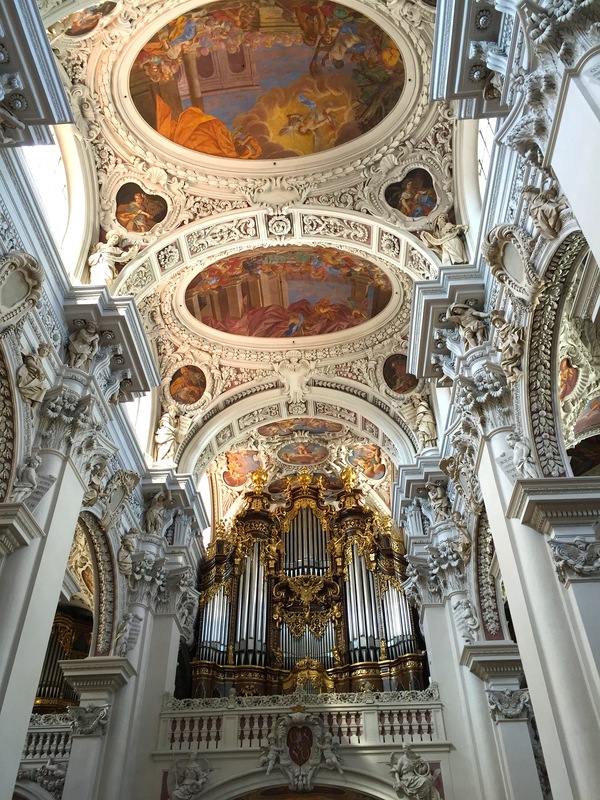 On our city tour we drove by some outrageously opulent buildings, including the world-famous Opera House, St. Stephan’s Cathedral and Hofburg Palace, as well as the Ringstrasse, which encircles the medieval Inner City. On your own you can explore the eclectic museums clustered in The Museums Quartier or peek into the stables of the 440-year-old Spanish Riding School, famous for their snowy white Lipizzaner stallion ballet. Definitely sign up for the evening Mozart and Strauss Concert, where the illustrious Vienna Residence Orchestra (Rudolf Nureyev was once a guest director here) performs selections by Mozart and Strauss, accompanied by singers and dancers in period costumes. If you’re here on a Sunday, as we were, note that ALL shops (except restaurants and cafes) are closed on Sunday. So it’s a good idea to sign up for the optional tour to Schönbrunn Palace, designated a UNESCO World Heritage Site. Experience the life of a Habsburg as you tour the sumptuous “Versailles of Vienna,” erected in 1778 and graced by a number of formal gardens, Grecian statuary, the world’s oldest zoo and Roman ruins. 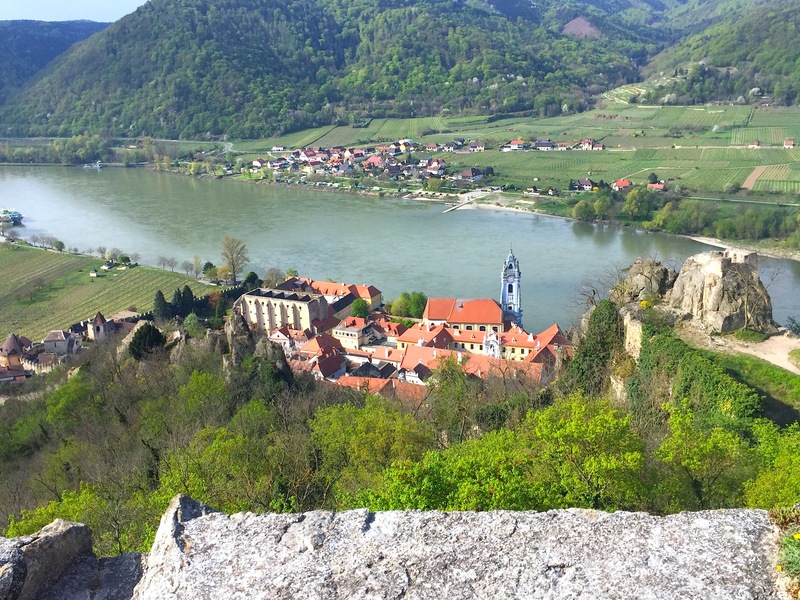 The picturesque walled-town of Dürnstein is located in the heart of the Wachau wine-growing region. The terraced hills are filled with apricots orchards, which is why Dürnstein’s cobblestone streets are lined with charming shops selling a wide variety of apricot-based products ranging from mouth-watering apricot dumplings, flakey apricot strudel, and chocolate covered ‘cots, as well a variety of succulent apricot liquors and brandy. Since you don’t have much time in Durnstein, my suggestion would be to dart into the Bäckerei (Bakery) Schmidl and order some hot-from-the-oven Wachau Laberl, locally revered crusty rolls invented by Rudolf Schmidl in 1905. Tell them you’ll pick them up in 30 minutes (and don’t forget to add a jar of their homemade apricot preserves) after you hoof it up to the top of the hill for incredible views from the ruins of Kuenringerburg Castle. 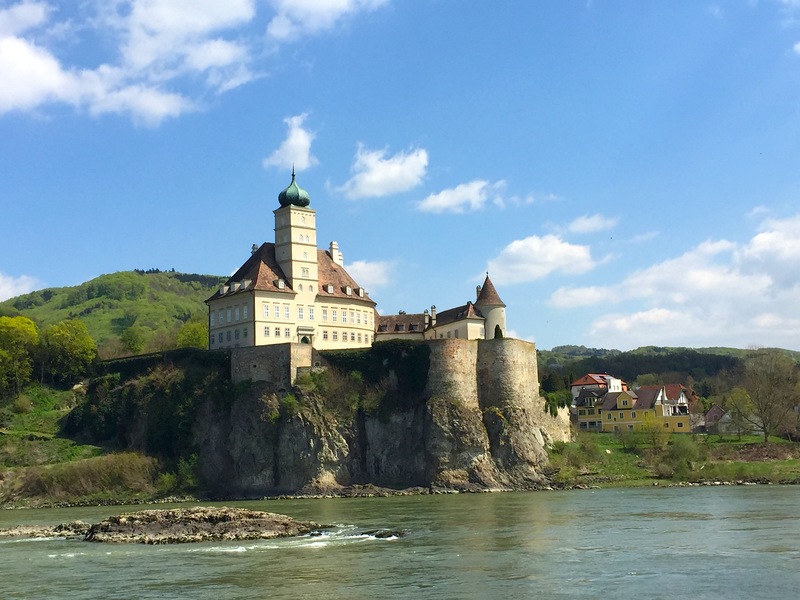 Richard the Lionheart was imprisoned here in 1192 following an altercation with Leopold V.
On the afternoon’s agenda there was a visit to the beautifully restored, 900-year-old abbey at Melk, a Benedictine monastery that began life as Leopold II’s castle. Visit the incredible library (still active), which holds over 70,000 books, mostly from the 9th-15th centuries, including a 1200 year old manuscript. The abbey’s church is a shimmering rainbow of red, orange and gold, with a magnificent carved pulpit and amazing ceiling frescoes. Unfortunately I missed this visit because I twisted my ankle as I raced down the hill at Dürnstein to pick up my pastries. I have to admit I was quite happy to spend a couple hours lounging in the sun on the top deck of the ship, as the solicitous staff sweetly tended to me with ice packs, a cheese plate and numerous glasses of wine. Our next pit stop was Linz, although our real destination was the Old Town of Salzburg, another UNESCO Cultural Heritage site. Salzburg is wildly popular to music lovers since not only is it Wolfgang Amadeus Mozart’s birthplace but The Sound of Music was also filmed here. For much of the scenic 90-minute drive, Joan and I took turns belting out, what we felt was a lovely round of “Doe, a Deer” and “My Favorite Things,” but for some reason we only elicited groans from the other passengers. You’ll have plenty of time to explore on your own after the informative walking tour. Stop into see Mozart’s birthplace (the memorabilia here includes his first violin, given to him at the age of six) which is on Getreidegasse, Salzburg’s renowned shopping street. The cobble-stone alleyways are filled with unique boutiques, from trendy jewelry stores to pricey designer lederhosen shops. Beer lovers might want to experience “the art of beer at the highest level” made in the brewing coppers at Brewery Stiegl-Brauwelt, founded in 1492. Just think, if Columbus had only stopped to ask for directions, he could have claimed it! For a wonderful alfresco lunch, head to Triangel, which serves local specialties made with a lighter hand. Before getting back on the bus, pop into one of the gorgeous candy shops and buy a few bags of Mozartkugel, (Mozart Balls) a beloved chocolate, pistachio and marzipan confection invented by the Salzburg confectioner Paul Fürst in 1890. Dating back to the 8th century this lovely medieval town, aka the “Gate to the Black Sea,” is uniquely situated at the confluence of three rivers: the Danube, Inn, and Ilz. The walking tour showstopper here is the magnificent Cathedral of St. Steven with its three characteristic, green onion-domed towers. If you’re lucky you might hear a concert played on the 17,000-pipe organ, considered the largest cathedral organ in the world. To burn off some of yesterday’s Mozartkugel, you can make the steep climb (it takes about 30 minutes) to the hilltop fortress Veste Oberhaus, built in 1219 in order to control commerce across the rivers. Your reward will be an extraordinary view of Passau and the three rivers. Afterwards visit the Glass Museum to see the world’s largest Bohemian glass collection–we’re talking over 30,000 pieces! Then head next door to the Hotel Wilder Mann, which opened in 1844. 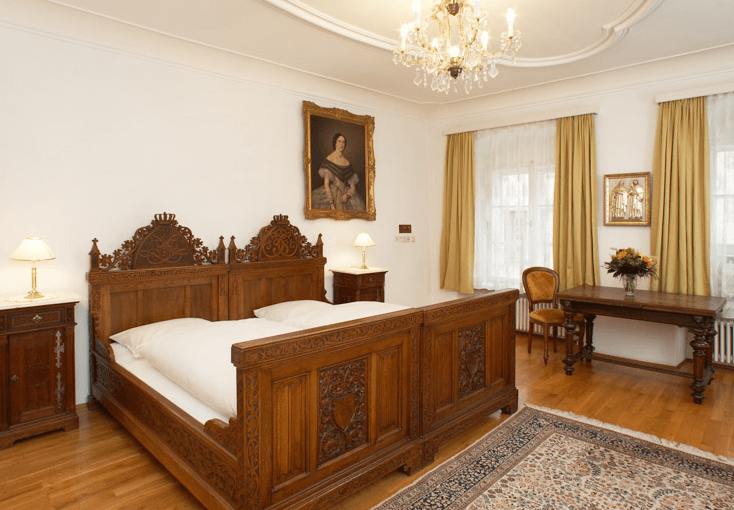 If they’re not busy, ask to take a peek at one of the historical suites to see the original nuptial bed of the Bavarian King Ludwig II or the bedroom of Empress Elisabeth of Austria. Stop in at the family-run, Marmeladen-haus to sample the farm-fresh jams, chutneys and mustards available in dozens of unique flavors. The small jars make great gifties to bring home, even though I ended up keeping them all after tasting the scrumptious amaretto-cherry and gingerbread elder preserves! 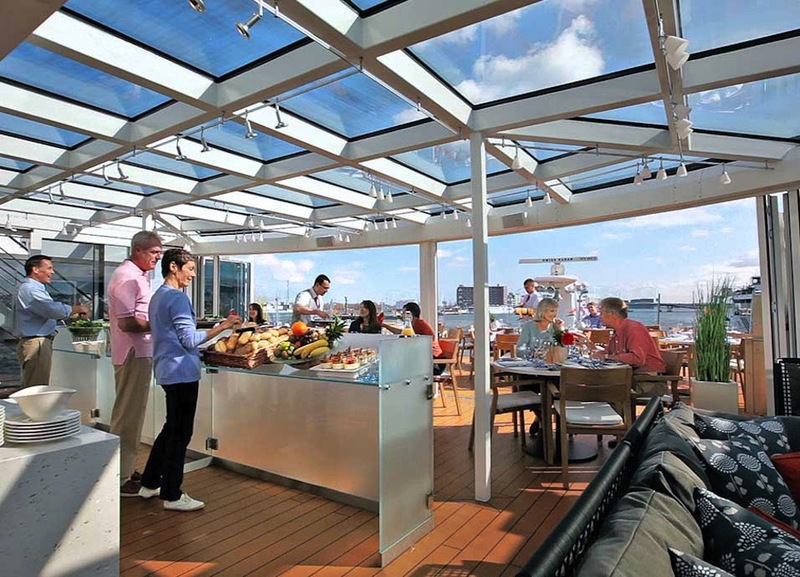 The Gullveig is comfy, cosmopolitan and ever so convenient. (Just about everything I look for in a man.) The first thing you notice is how sparkling clean it is. Then you’re struck by the brightness, with floor-to ceiling windows providing unobstructed views of the riverscape. 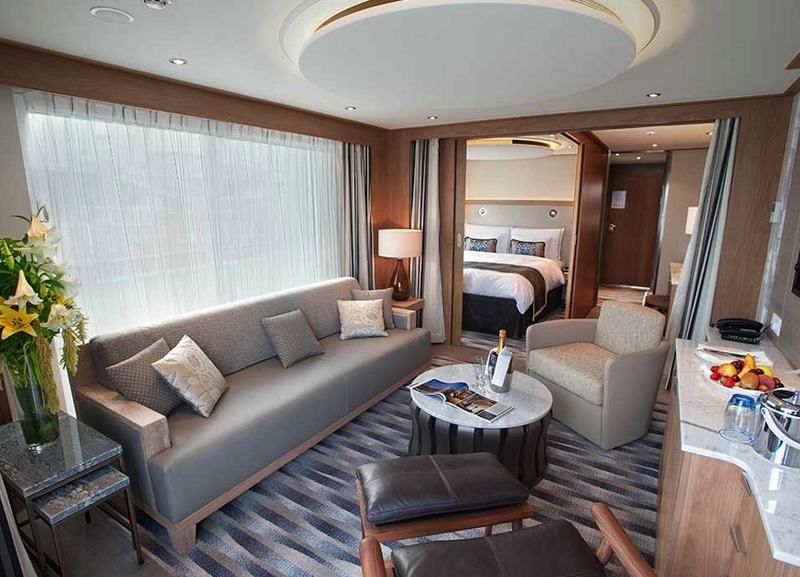 Viking’s streamlined longships are all cut from just about the same high-quality cloth. No matter which vessel you’re on, you can bank on the fact that your sophisticated stateroom will be airy and generously sized (most have verandas and French balconies) with hotel-style beds, a private bathroom filled with a generous supply of L’Occitane products, plush robe and slippers, roomy closets and plenty of storage space. Other features include a sun deck with 360-degree views, an organic herb garden, complimentary Wi-Fi, a putting green, walking track and a helpie/selfie cookie and espresso bar. 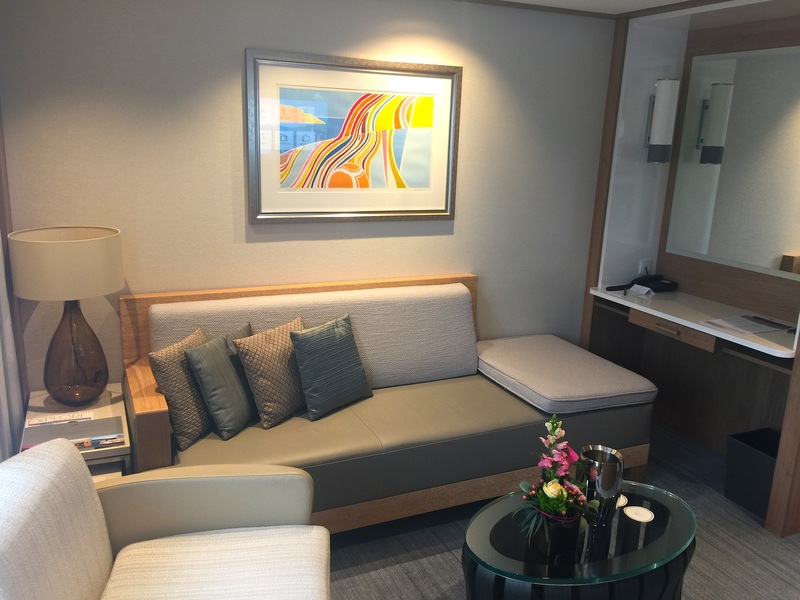 The colors may vary a bit among the different ships, but you will always receive Viking’s world-class, hospitable service. Everyone onboard kept commenting on “how warm and friendly the entire staff is,” which seems to be a Viking trademark. But the person I would most love to clone and bring home with me is Viking’s Program Director, Debra, who was unfailingly gracious, competent and willing to go the extra mile(s). She patiently took care of a huge problem I had with the airlines — even though it had nothing to do with Viking. She stops just short of perfection, since even though she has a wonderful sense of humor, she tells some really pitiful jokes, so please send her some new ones — although I heard that her Movie Quote Quiz Night was a total blast! 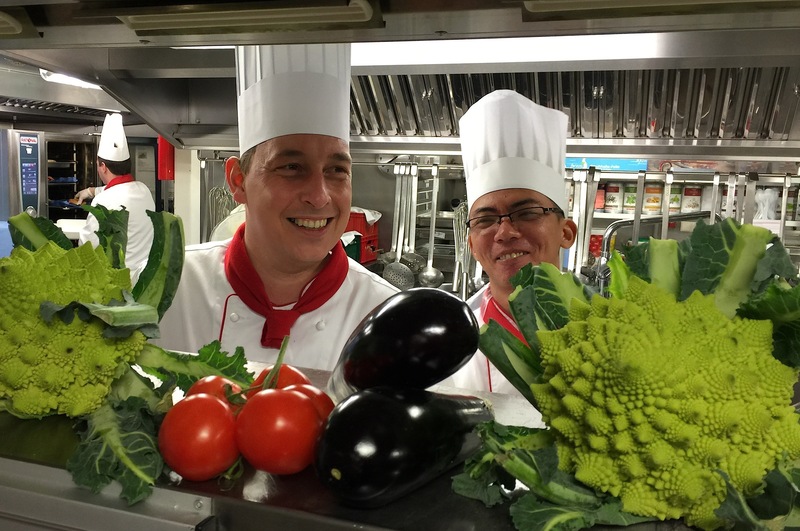 You’ll receive this same level of professional excellence during the daily shore excursions, informative lectures and cooking classes. I can’t wait to try the Austrian apple strudel recipe from our demo. Evening activities usually consisted of live music, such as a colorful Slovakian evening of folk singing and dancing or a compilation of melodies from The Sound of Music performed by a Salzburgian ensemble (and no, they did not invite Joan and me to sing!). However, after a full day of sightseeing, Joan and I were usually so pooped we wanted nothing more than to retire to our comfy beds and see what towel-art surprise J-Co had left for us. Meals kicked off with an early riser’s breakfast or a full breakfast buffet between 6:00 and 9:00 a.m., When I asked the omelet chef, Ed, if he could make me a fat-free version using only egg-whites and veggies (which was my one nod to healthy eating for the day), he happily created an endless variety of egg masterpieces for the rest of the week. The buffet lunch included a soup and sandwich bar, pasta, a variety of salads and desserts and was available in both the main dining room or alfresco on the Aquavit Terrace. The slightly more formal, multi-course dinner, where fresh flowers graced the crispy white tablecloths, was served around 7:00 to 9:00 p.m. We loved the open-seating format, so we could chat up a bunch of different travelers (the overwhelming majority were repeat customers, which says a lot) or keep to ourselves if we wished. The chefs are all Swiss-trained, so you’re assured of gourmet cuisine with a welcome focus on regional specialties, such as assorted German sausages (hot off the barby) pretzels and mustard, Austrian tortes, local beers and liquors. After a late night in Vienna we were welcomed back to the ship with a steaming mug of hot goulash! 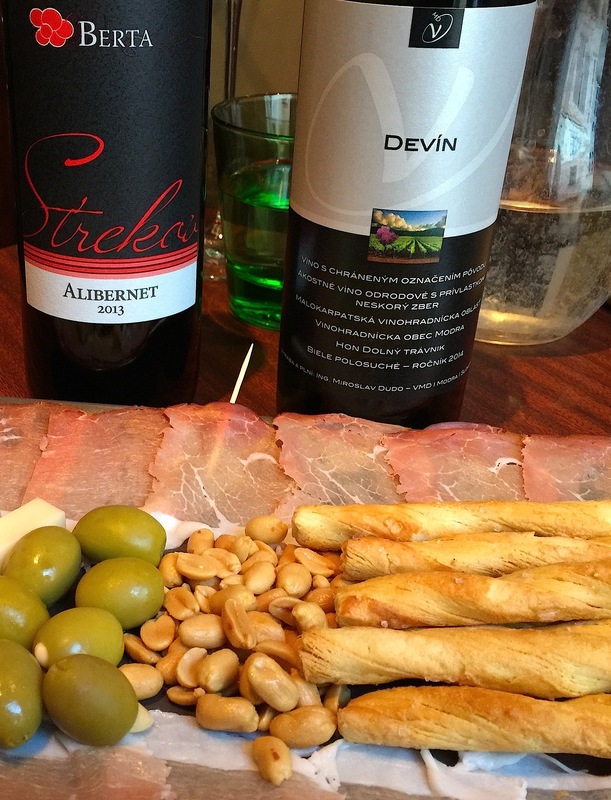 Hot beverages, complimentary wines and beer, both local and imported, accompany meals. Or, you can spring for the Silver Spirits beverage package, which covers unlimited premium wines, beers, espresso drinks and some tasty cocktails. Now the only problem I’m left with is which Viking Cruise to pick next: Wine tasting along Portugal’s River of Gold, The Imperial Jewels of China, which includes a visit to Xian’s Terra Cotta Army, a Magnificent Mekong itinerary which covers Hanoi to Ho Chi Minh — or, who can resist the lure of the exotic Myanmar Explorer? I know I can’t. Still on the fence? This short video might help you decide!